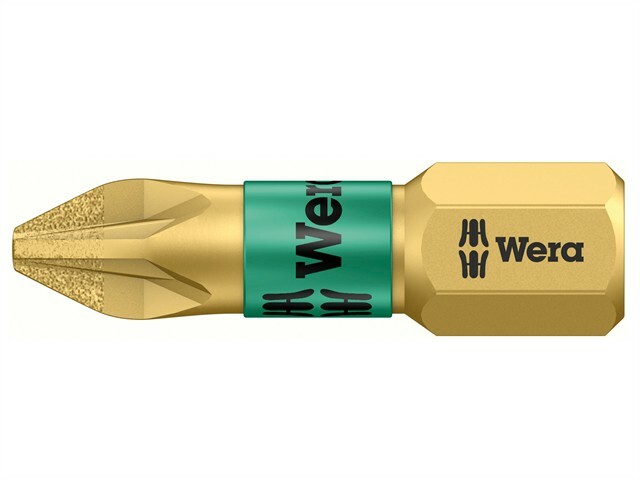 Wera BiTorsion 25mm Diamond Pozi Bits have a significantly extended service life and prevent damaging cam-out. Ideal for use with screws into high resistant materials such as hardwoods and ABS plastic and self-tapping screws. Use with all combi and drill drivers. For impact tools, use Impaktor bits. Use with Wera BiTorsion Rapidaptor bit holder for ultimate service life.